Pay per click (or PPC) advertising has proven incredibly popular amongst car dealers because it offers a low risk, high reward means of advertising their businesses. Since the early days of search however, PPC has moved forward in leaps and bounds, and it’s now an incredibly sophisticated and complex advertising channel that can revolutionise your dealership and the way that you sell cars.  Why use a specialist, automotive digital agency? A specialist automotive agency will understand your market in a way that general agencies will find very difficult to do. 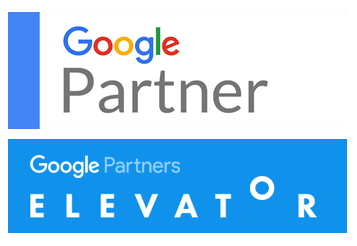 Using a specialist PPC agency means that you can take full advantage of all of the latest and most effective features offered by each channel, without spending huge amounts of time learning all of the intricacies and pitfalls of each platform. At Blanco Digital, we’ve spent years building and developing our own proprietary platform, AdFeeder, which has been designed specifically to solve some of the common issues that car dealers are facing when trying to sell their used car stock in a way that’s cost effective. The AdFeeder platform has taken the industry by storm, and now automatically generates hundreds of thousands of highly optimised PPC ads for some of the biggest car dealerships in the UK. AdFeeder has changed the way dealers sell thier stock. In simple terms, AdFeeder takes a feed of your stock file every day, cleans up your data and then uses that data to generate highly optimised PPC campaigns. Let’s say you have a 2012 Blue Ford Focus ST on your lot. AdFeeder knows that people will use terms such as “Ford Focus for Sale”, “Blue Ford Focus”, “2012 Ford Focus For Sale”, “Used Focus ST” and automatically generates these keywords (and more) so that your ad will be triggered if someone in your region searches on those keywords. Typically, AdFeeder saves our clients up to 40% on their monthly Pay Per Click spend whilst generating more leads and more cars at the same time. All the available evidence shows that Brand based campaigns increase your conversions significantly even if you have great SEO or organic listings already. Brand based campaigns help to ensure that you appear (rather than your competitors) when people search for your brand and misspellings of your brand with a message that YOU control not Google. Brand campaigns also help to ensure that your latest offers and marketing messages can be conveyed to your local audience in a way that you dictate. Image based ads can help drive local traffic to your dealership. we will setup up advanced, optimised, brand based campaigns that ensure you’re getting the best value from every click and every person who’s searching on keywords related to your brand. Using ad extensions in your PPC campaign helps improve your click through rate, lowers your cost per click and gives your potential customers many more ways in which to interact with your ad. Call extensions let you add phone numbers to your ads, which can significantly increase click-through rates. When your call extensions show, people can tap or click a button to call your business directly. That means more customer engagement with your ads and more chances for you to get and track your conversions. Sitelinks can take people to specific pages on your site – your opening hours, a specific product or more. When someone clicks or taps on your links, they skip directly to what they want to know or buy. Callout extensions let you include additional text so that you can show more detailed information about your business, products and services. Structured snippets are extensions that highlight specific aspects of your products and services. They are displayed underneath your text ad on search in the form of a header. We will setup up appropriate site links, click to call extensions, review extensions etc. Remarketing has changed the world of PPC and digital marketing in general. The results we are seeing from remarketing are simply astonishing. In simple terms, remarketing allows us to “continue the conversation” with your site visitors even after they have left your web site. Dynamic remarketing: Boost your results with dynamic remarketing, which takes remarketing to the next level with ads that include products or services that people viewed on your website. Remarketing lists for search ads: Show ads to your past visitors as they carry out follow-up searches for what they need on Google, after leaving your website. Email-list remarketing: With Customer Match, upload a list of email addresses that your customers have given you. When those people are signed in to Google Search, YouTube or Gmail, you can show them ads. Your brand, image or video in front of literally millions of potential car buyers. The power of keyword based campaigns on search engines such as Google is well known. What’s less well known is that you can also run image based ads on Google’s network of literally millions of partner websites. The options are almost endless. From dynamic image ads that automatically show your visitors ads for vehicles they’ve looked at previously to “Lightbox” ads that allow you to showcase special offers and deals. People who’ve visited your site previously. People who Google “know” are in the market for a particular type of vehicle. People who Google “know” are in the market for a particular make of vehicle. People based on their age, gender and even their parental status. All this power is available at seriously low costs per click and is part of the standard PowerPack service. Talk to us today about PPC for your dealership.